Government should provide farmers and businesses with a stable, non-intrusive environment for creating jobs, growing crops, raising livestock, and providing products and services. Jon is committed to providing a stable farm and business environment by keeping taxes low and eliminating overbearing regulations. People and industry, not government, create jobs and a thriving economy, and so Jon believes government should promote, not impede business. During his time in office, Jon never voted to raise taxes and argued against fee increases that were harmful to farmers. If elected, Jon will fight to keep taxes and fees low so that farmers and business can thrive, create jobs, and strengthen our economy. Jon Hansen for House shared a post. Thanks for being a prayerful presence there Jon! Thanks for this and for sharing it!!!! 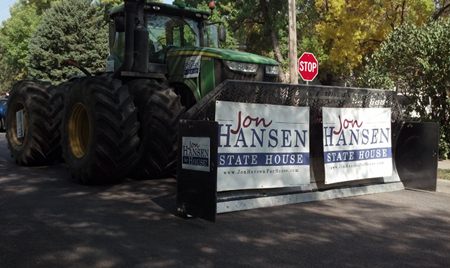 Jon Hansen for House shared a photo. Americans for Prosperity - South Dakota fights every day for lower taxes, less government regulation, and economic prosperity for all. I'm thankful for their work in our state and I'm honored to receive their Torchbearer Award.Rep. Jon Hansen received our Torchbearer Award for his tremendous record of voting to break down barriers for South Dakotans and for his sponsorship of legislation to expand education opportunities for our students! Difference maker right there! Way to go, Jon! Congrats, Jon!!! Well-deserved!!! Keep on being a rockstar! 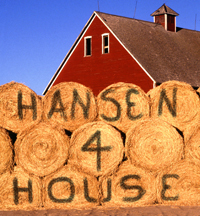 Jon Hansen – candidate for South Dakota State House of Representatives for District 25. District 25 includes the towns and rural areas surrounding Baltic, Colton, Dell Rapids, Garretson, Lyons, Rowena, Sherman, Valley Springs, and eastern Sioux Falls.